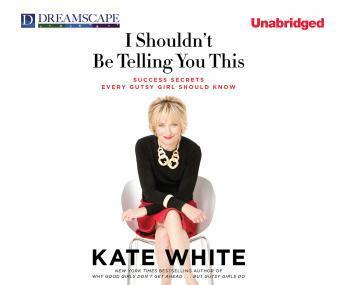 New York Times bestselling author Kate White is the editor-in-chief of Cosmopolitan, the #1 young women's magazine in the world, and a hugely successful businesswoman. In I Shouldn't Be Telling You This, she shares her secrets to success. A witty, wise, straight-talking career guide for women, I Shouldn't Be Telling You This is the perfect book for the current economic climate, whether you're just starting out, re-entering the workforce after maternity leave, or simply looking for a career change; essential tips and bold strategies from a gutsy innovator who helped increase Cosmo's circulation by half a million copies per month.